Sunrisers Hyderabad Thursday defeated Delhi Capitals by five wickets to register a hat-trick of wins in the ongoing IPL and stand-in captain Bhuvneshwar Kumar said a skipper's job becomes relatively easy when the team does well. "When the team does well, captaincy is always easy. 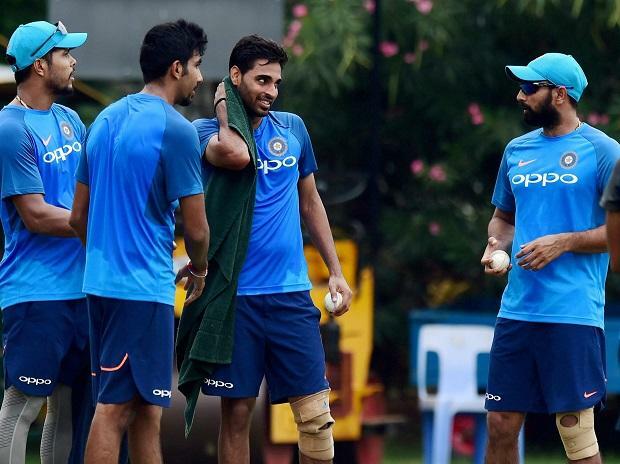 Captain is as good as his team," Bhuvneshwar said at the post-match press conference. "With the toss we were not sure how the wicket was going to play. We were not surprised but we knew it wouldn't be too slow in the second innings," he said. "The way we came back in the second innings was appreciable. The bowlers came up and that is good to see," he added. "I am really pleased with the start, just going to try and keep going. We have three games in quick succession now and hopefully we keep playing the same brand of cricket.